Do you have a love for the Ancient world? Are you interested in the Greeks and the Romans? Is ancient history and literature your thing? Are you a fan of ancient myths and legends? Do you spend a lot of your free time reading? Do you like debate and discussion in a classroom? If so, this is the right course for you! On this course you will be introduced to the world of classical literature, politics, theatre, myth, history and society. You will learn about some of the greatest figures in world history such as Julius Caesar, Cicero, Pompey, Themistocles, Xerxes and Leonidas. 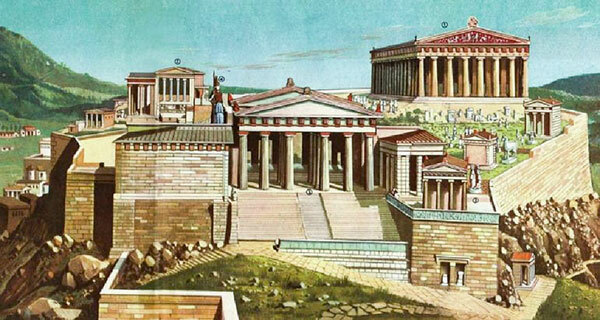 You will also study the greatest figures in myth: Odysseus, Achilles, Hector, Aeneas, Dido and Helen of Troy. Students will learn about the development of democracy, politics, warfare and society. Our topics encourage us to discuss gender, tyranny, fate, the nature of the gods and heroism. There is an emphasis on using original sources and you will study the work of Herodotus, Cicero, Homer, Virgil, Euripides and Aeschylus in translation. This course encourages you to develop the critical and evaluative skills that will enable you to go on to Higher Education to study a wide range of courses, including, of course, Classics, Classical Civilisation or Ancient History. Classical Civilisation is also highly prized by employers. Have you considered History (Medieval and Early Modern, or Modern) or Geography A Level? Many of our students choose to study another Humanities subject alongside Classical Civilisation A Level.